With an aim to minimise the number of TB cases in Assam by 2025, the State TB Cell, Assam jointly with the Indian Institute of Technology, Guwahati (IIT-G) and Embedded Interaction Lab (EILab) created a digital platform for health administrator, medical officers and health workers to track and monitor TB patients till the end of treatment in real time. 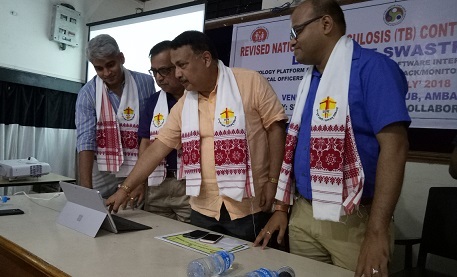 In a programme organised by the State TB Cell, Assam in collaboration with the IIT-G in Guwahati, Dr Rathin Bhuyan, Director, Health Services, Assam inaugurated ‘Swasthyaa’ , a technology platform supported through a software interface for health administrator, medical officers and health workers to track or monitor TB patients in real time. As per Government report, Assam has recorded 19,675 TB cases detected in 2018 till date while 37,300 TB cases were detected in 2017.